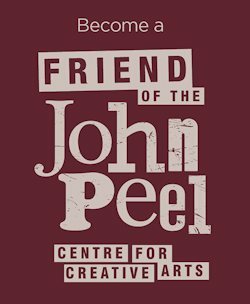 Please note, the John Peel Centre is run by volunteers, apart from the Centre Manager and Venue Co-ordinator who are paid part-time employees. All give their time freely, fitting their work at the centre in around other commitments including their day jobs. Please bear this in mind when contacting the team, thank you.